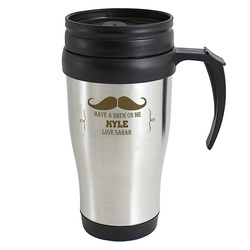 This Moustache Thermal Travel Mug can be personalised with 3 lines up to 25 characters per line. All text will be in uppercase. Its hardwearing and durable design means that it can be used many times to keep drinks hot or cold. It has a sliding sip cover, screw top lid, strong plastic handle and insulated plastic inner. 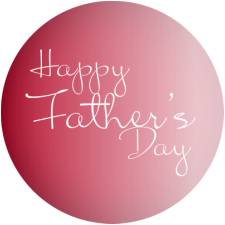 Perfect for Fathers Day, Birthdays.